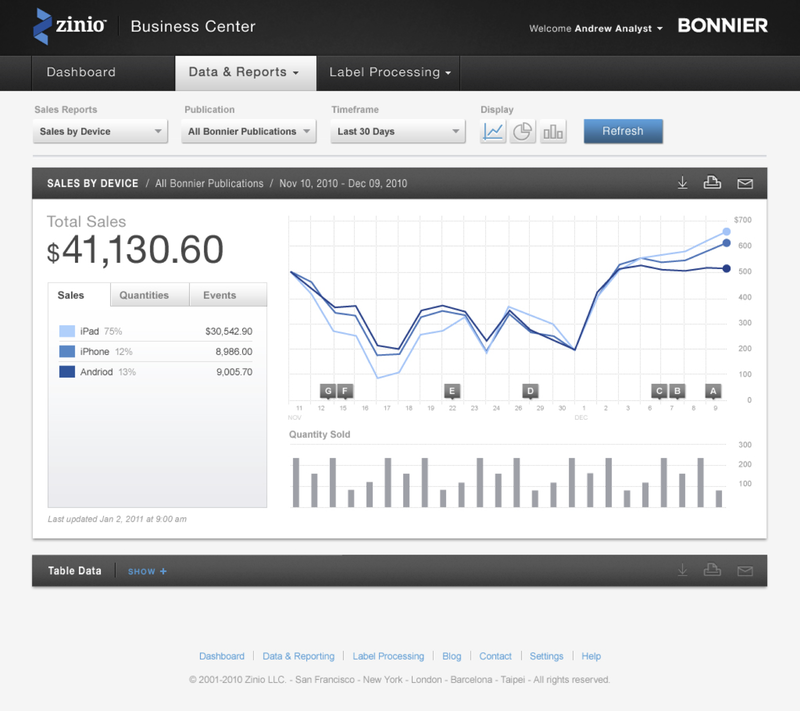 This was a rapid design project based on the needs of Zinio’s business users. We expected to use available charting software but there were no set requirements. We began sketching right away and created a design concept based on answering the frequently asked questions first and allowing users to access the raw data for more complex questions. This project for Zinio was about creating a new business center for publishers to track magazine sales. It was critical for nurturing the relationship between Zinio and the magazine publishers. I was the lead user experience designer on this project and worked closely with visual designer.